For your chance to win, connect to a Belong, Optus, MyRepublic or TPG plan via Compare Broadband. We compare plans from some of Australia's leading internet providers. The Magnificent Mister Musk and his Spectacular Broadband Satellites! The Fantabulous Futurist with his Sensational Scientific Advances! Internet to Civilize! To Mesmerise! It's Sci-Fi Wi-Fi Before Your Very Eye-Eyes! Between launching electric cars into space, and both middle fingers at Facebook, magnate and possible Bond villain Elon Musk is making sure the cold depths of space can now be warmed by fuzzy pics of doggos. Well, at the very least, the cold depths of space that are in the low orbits of Earth. 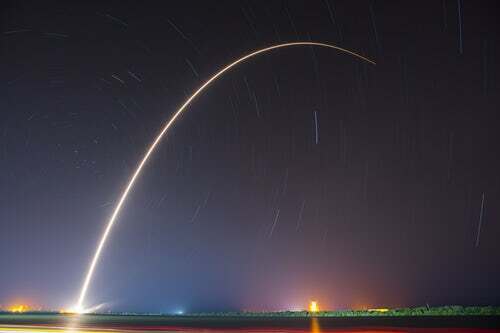 Dubbed "Starlink", the satellite constellation development project is part of SpaceX's plan to provide internet access though communications satellites. Battling against inclement weather, a Falcon 9 rocket carrying two prototype sattelites capabale of beaming high-speed internet back to Mother Earth was launched from the Vandenberg Air Force Base in Southern California back in February, 2018. 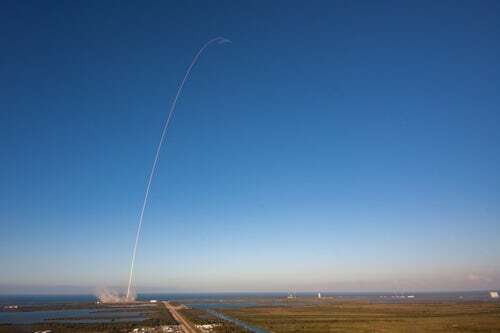 Following the successful mission, SpaceX then filed regulatory paperwork in March to launch a whole fleet of sattelites (apx. 12,000 for those playing at home) including 7,518 to "provide communications in the little used V band in very low Earth orbit". If all goes smoothly, the initial operation of the constellation could commence as early as 2019 (!). It's certainly not the first internet we've had in space, but it's potentially the most important expansion of space-fi... if all goes to plan, SpaceX aims to use Starlink to provide affordable internet connectivity all over the globe, and to have its profits swell the coffers of its SpaceX Mars fund. Old Musk might be a little kooky, and he miiiiggggght be working for SPECTRE, but never let it be said that he's not trying to take us places. Whether your internet comes from land, sea or sky, make sure that you're getting the best deal here. Compare Broadband provides consumers with an impartial, comprehensive and free Broadband Internet comparison. Independent to Internet Service Providers, we are a wholly owned Australian company with hundreds of plans listed on our website. What's so great about them? How do I get connected? Enter your contact details and one of our friendly staff will get back to you at your requested time. We compare and connect plans from some of Australia's leading internet providers across NBN, ADSL2+, Naked DSL, Cable, and Mobile broadband. We do receive a commission from our providers if you sign up through us but this does not affect how we display plans or the results we show you. We are Australian owned and locally operated in Melbourne so we understand Australian's broadband needs.